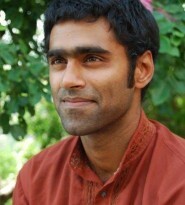 Bapu Vaitla is a food security researcher focused on the causes of child under nutrition. Theoretical modeling of cooperation in intra-household and community network contexts. He has experience in econometric modeling, household survey design and analysis, and participatory qualitative research methods. He has in-depth country-specific knowledge of Brazil, where he was a Fulbright Scholar in 2013-14; India, where he conducted research as a David L. Boren Fellow on federal and state-level nutritional and food security policies; and Ethiopia, where as a Mickey Leland International Hunger Fellow he analyzed productive safety nets and foreign assistance programs. Bapu has a PhD in International Relations from the Fletcher School at Tufts University and a M.S. in International Agricultural Development from the University of California-Davis. Under this project, a variety of food security indicators are incorporated into field surveys of other studies in order to assess their applicability, cost, reliability, and internal, external, and construct validity. This report investigates food security resilience in Far-Western Nepal.